للمسافرين الذين يرغبون أن يعيشو كل ما تقدمه جولد كوست, Portobello Resort Apartments هو الخيار الأمثل. يمكن من هنا للضيوف الاستمتاع بسهولة الوصول إلى كل ما تقدمه هذه المدينة النابضة بالحياة. سوف يعشق النزلاء موقع هذا الفندق، فهو قريب من أهم المعالم السياحية في المدينة كمثل باسيفك فير سنتر, Mount Tamborine Wine Tasting Tours, Dracula's Cabaret Restaurant . إن الخدمات الممتازة وحسن الضيافة العالي في Portobello Resort Apartments تجعل إقامتك تجربة لا تنسى. يمكن للنزلاء الاستمتاع بالميزات التالية: واي فاي مجاني في جميع الغرف, تخزين الأمتعة, واي فاي في المناطق العامة, صف السيارات, غرفة عائلية أثناء إقامتهم في هذا المكان الرائع. استمتع بوسائل الراحة الراقية في الغرف أثناء إقامتك هنا. بعض الغرف تتضمن تلفزيون بشاشة مسطحة, اتصال لاسلكي بشبكة الإنترنت (مجاني), حوض الاسترخاء, غرف لغير المدخنين, مكيف هواء لمساعدتك على استعادة طاقتك بعد يوم طويل. يمكنك الاستمتاع بالأجواء المريحة التي تقدمها حوض استحمام ساخن, مسار جولف - ضمن 3 كم, حمام سباحة خارجي, سبا, حديقة طوال النهار. 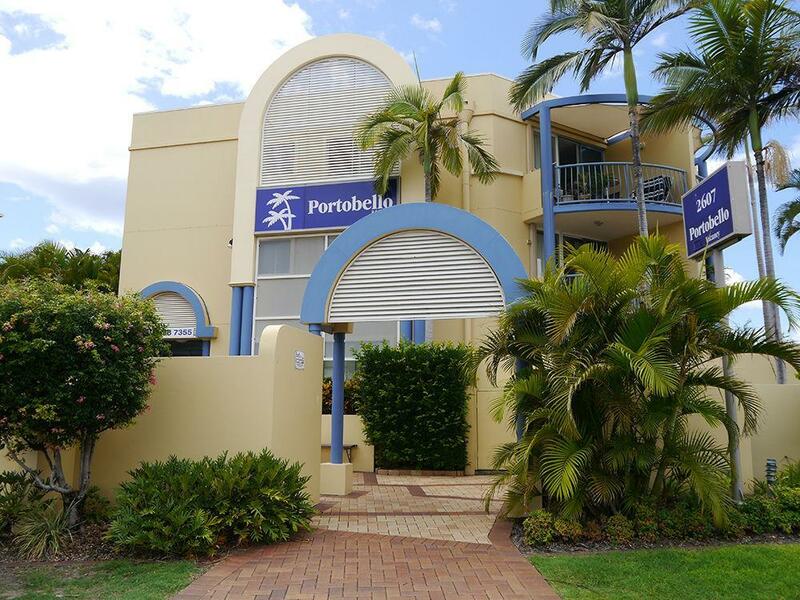 اكتشف مزيجاً ساحراً من الخدمة الاحترافية والخيارات الواسعة من وسائل الراحة والمتعة في Portobello Resort Apartments. Too many stairs, not for the disabled. Otherwise Staff were efficient, friendly & very helpful, the room was very clean & excellent quality. Also very quiet considering the proximity to the road & street. Good amount of space. Good water pressure in shower. Apartment was clean. Bed was very hard, I didn't find it comfortable. Pool was nice. Microwave needs replacing. Man at reception was nice and helpful. Air conditioning in lounge only. It was ok, as not too hot. Basic but clean, great service/staff and great location. Location is good, easy walking distance to restaurants and shops. Directly across from Pacific Fair mall. 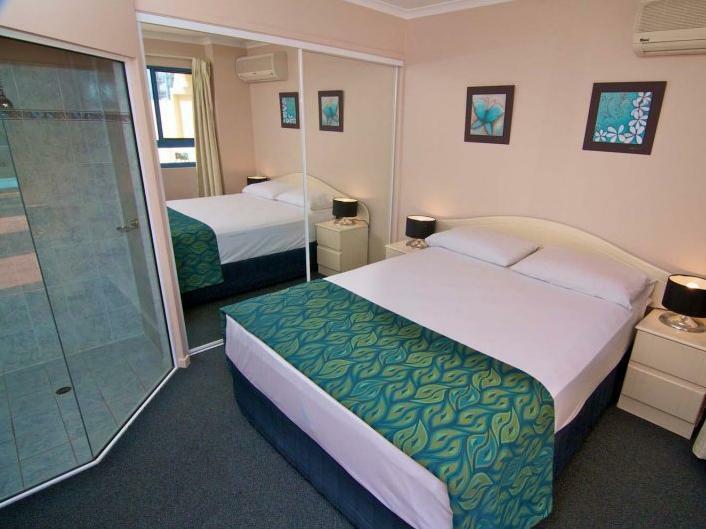 Nice room, clean and with laundry facilities and everything else you need including well equipped kitchen. Well maintained building and grounds with swimming pool and nice garden. Apartment was clean and spacious enough for 2 people. Helpful management. However, there were very little amenities like toilet paper, dishwasher, dishwashing and washing detergents, tea towels etc. the biggest let down is the advertised free wifi. It is provided by a 3rd party service and is free for first day and only 500mb, then it is charged at a very high rate. There are also only 8 Foxtel channels which was also a disappointment. Mostly pleasant but some little things that could be better. Lack of amenities like toilet paper, dishwasher/dishwashing/washing detergents. Only one tea towel. Dryer not working, washing machine tangled clothes and frequently stopped mid cycle. Management were very nice and made great efforts to make our stay comfortable. The mid stay room clean was very welcome and greatly appreciated. The walk up to the 3rd floor is quite strenuous but not a great problem for the able bodied guest. This apartment complex has permanent residents that live close to the communal areas and holiday guests should be mindful of this during their stay as it inhibits the use of the common areas at times due to complaints from permanent residents about noise that is often only within the bounds of what would normally be expected in a common area such as the pool area. Survelance cameras are also used in the pool area, which is a bit disconcerting. Despite the restricted use of the common areas, our stay was comfortable and we were happy with the rooms. We would recommend the apartments for people without children or those who don't intend being at the apartment Except to sleep or those who don't want to use the common areas. 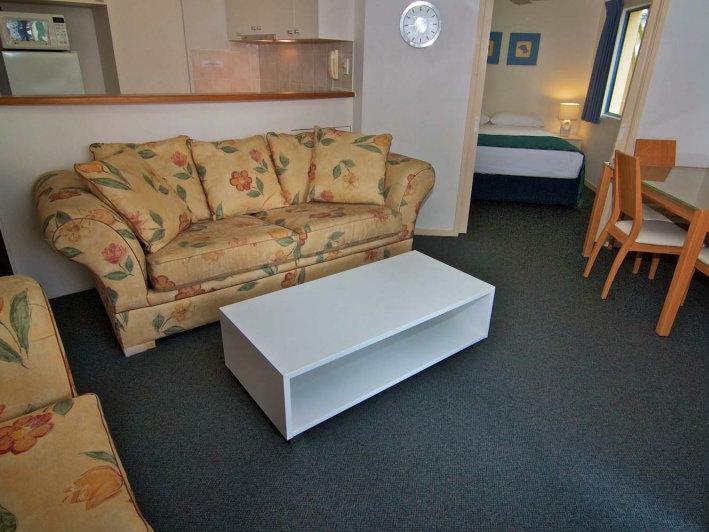 Very pleasant stay, clean nice unit, perfect location, walking distance to beach, shops and restaurants. Liked the spa and pool. We missed receiving clean towels, sheets and top up of coffee, tea and sugar sachets, and toilet paper. We stayed one week and the room did not get serviced during the entire week. It is a great place to stay, but best to ask for clean towels and other necessary top ups if you are staying a bit longer. Excellent location, great staff, great place to stay. The staff were amazing and accommodating, upon our arival our car didn't fit in our allocated spot due to it being a 4WD with a lift kit in it, the owner allowed us to park out the front with our vehicle in an area with security cameras. The staff we're a pleasure to deal with at all times, felt like you were part of the family where a lot of hotels tend to look down their nose at young families. The security of the apartments were also fantastic. The common areas kept in immaculate condition as were the apartments themselves. It felt like being in your own humble abode. It was so relaxing sitting on one of two balconies and enjoying the view of either the pool or the city. The location is fantastic for shopping, going to the beach and accessing everything the beautiful Gold Coast has to offer. I didn't want to leave. I will be telling others to go there and my little family and I are sure to return.